EFF has long been critical of overbroad government secrecy, which has been used to cover up everything from illegal activities to questionable legal justifications for mass surveillance. Given that government officials default to withholding important details from the public regarding national security, we were pleasantly surprised to read a memo that Director of National Intelligence James Clapper sent to intelligence agencies last month. Clapper’s memo directs the heads of several intelligence agencies, including the NSA and CIA, to substantially overhaul the government’s formal classification system as part of a process known as the Fundamental Classification Guidance Review. Although the review sounds like a routine bureaucratic exercise, Clapper’s call for agencies to take a leading role in reducing the amount of information that is classified is potentially a game changer. Requiring discretionary declassification. Intelligence agencies would proactively identify and declassify documents, which would be a marked change. Although agencies already have the discretion to declassify information on their own, Clapper’s memo calls for a new approach that would focus agencies on disclosing more records. Eliminating the “confidential” category of classified information. Clapper asks the agencies to consider whether the lowest level of classification can be eliminated to “promote transparency.” The confidential label was placed on 22% of the total material that agencies initially classified in fiscal year 2014. Creating more uniform classification rules. The memo asks for agencies to comment on creating a classification guide that would be used for classification issues common to the agencies. As it stands now, agencies develop their own classifications guidelines. The true impact of Clapper’s proposals will depend on how they are implemented. If done correctly they have the potential to reduce the amount of material kept secret by intelligence agencies. For example, if proactive discretionary disclosure requires agencies to presume that there is a public interest in disclosing the records that must be outweighed by a concrete risk of harming national security, it could lead to greater disclosure. Similarly, if material previously marked “confidential” now must be made public, that would undoubtedly be progress. At the same time, discretionary disclosure without a strong presumption that material must be made public is a hollow effort to increase transparency. 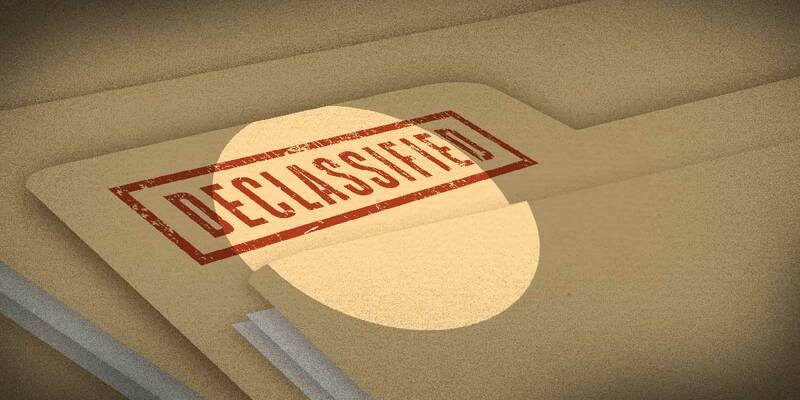 And without clear guidance to agencies about eliminating the “confidential” category of classification, they may simply mark the same materials with the next-highest classification category rather than disclose the information. Nonetheless, EFF appreciates Clapper's candor and leadership in admitting that the government classifies too much information. Indeed, President Obama recently explained that his own experiences have led him to the same conclusion about the government's overclassification. EFF is hopeful that Clapper and President Obama's comments indicate that they are both serious about reforming the current classification system. We look forward to seeing whether agencies take Clapper’s requests seriously and if it ultimately results in less government secrecy.